Explicit Ep 220: Do These Names Spark Joy? 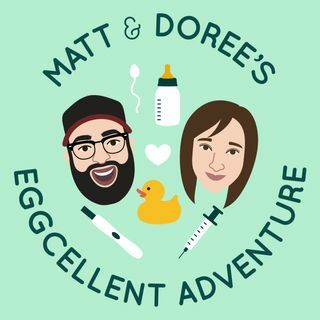 Matt Mira and Doree Shafrir spent two and a half years, a lot of money, and nearly 100 episodes of this podcast trying to get pregnant through IVF. Now that they're actually pregnant, welcome to Season 2 — everything that you loved about hearing the highs, the lows, and the occasionally hilarious aspects of a married couple ... See More experiencing infertility in real time, just now with a fetus. It's the pregnancy podcast you didn't know you needed.